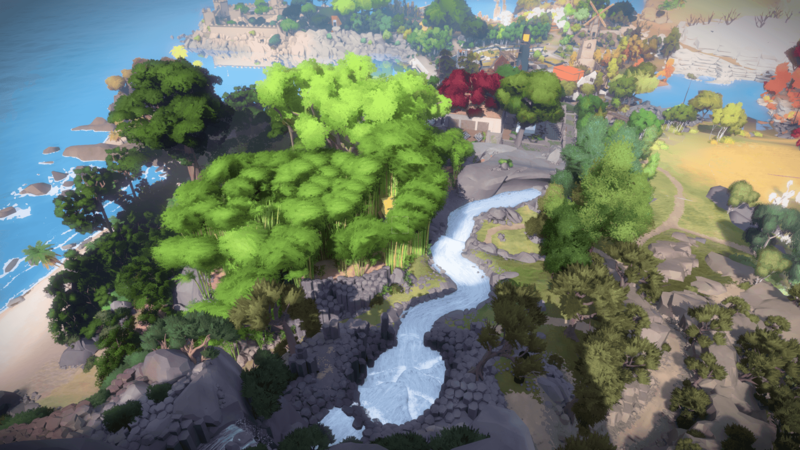 At this point, I’ve yet to complete The Witness, but I have spent a long time wandering its hills and dales, I’ve activated all but one of the lasers, while at this point I’ve yet to complete the game, I’ve had a extensive experience of the game — at this point the main meal is complete, everything else is merely a treat. I know once I’ve completed the Mountain,and given up on “The Challenge” all that will be left for me to complete is various environmental puzzles. I’m fine with that. In some cases the lack of literal framing allows these puzzles to breath in a unique way, a way wherein the perspective makes them both simpler to complete, whilst being less apparent to the eye. The puzzle is no longer; “You have found this framed puzzle, work it out”, but “where is the puzzle?” This isn’t to say that you, at a point in the game, become lost — No, all the environmental puzzles, for the most part, are as it turns out merely optional. 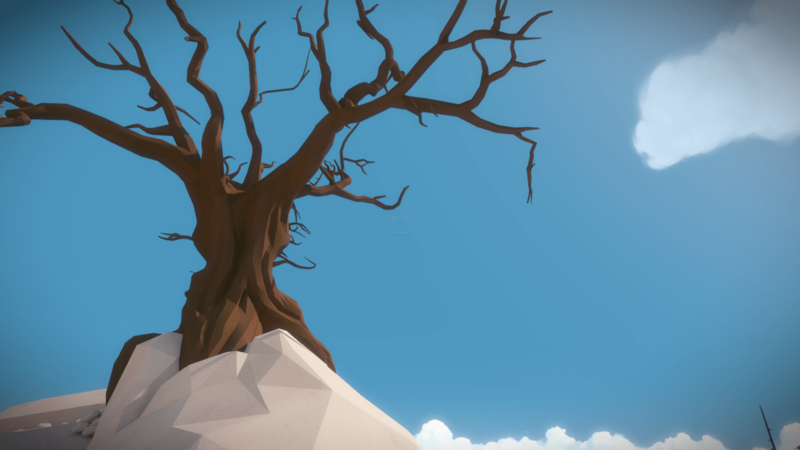 I’m talking about one specific (essentially masked) mechanic of The Witness, but — that said — for the most part the game is composed of puzzles based on rules, and on extensions of where those rules might apply. Certain items need to be separated in pairs, you must cover all the dots with the line, an item negates a single rule. These rules are at first tied to single areas, but later begin to open up. At a later point you will find yourself solving puzzles on monitors with visual glitches, meaning you have to essentially transpose the location of the distorted monitor. There are definitely mechanics in the game that rely on visual differences between colours based on lighting (IE a yellow bulb will tint all the colours, meaning certain shades now appear as others) as such select forms of colour blindness can cause that one area to be a nightmare, additionally there is a puzzle based on pitch, which might cause a problem to people with hearing impairments, but for the most part these areas are optional. I have found myself taking notice of the shapes in things, and the interconnectivity of items when viewed from specific angles. it’s great if you are looking for a moment of pause as it’s a great excuse to look at things you might normally ignore, this is both outside of the game and inside it. I feel like the art department had a field day on this game, the colour is so vivid, and the structures often hide other things, things designed to give you pause. Thekla have made a game that is somehow the easiest thing to explain, but a struggle from outside to understand; I know many people who assumed there was some form of major twist/mechanic overhaul that changed the game, yet it is just puzzles. It really is just a puzzle game in which you have to get from point A to point B, the big “twist” being that some puzzles have specific mechanics which they must follow. I’ve been playing The Witness since its first anniversary, often with months between playing. It has been a great experience, especially in times wherein puzzles have seemed too obfuscated for my mind to grasp. Its puzzles are the rarest breed, the kind where you are best returning to the game after a break, and after applying the game’s systems to the real world.